Satay Lover?? 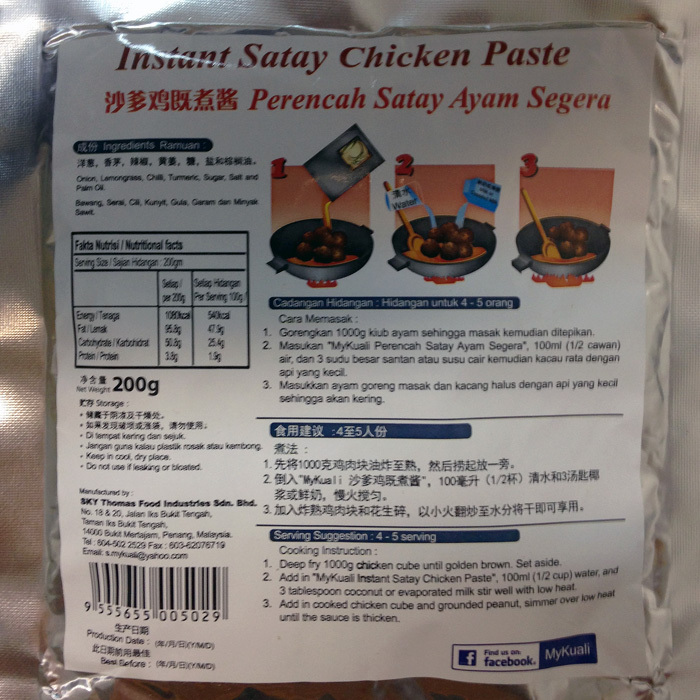 Come try out the satay chicken paste for your own creation! Paste does not comes with the grinded prenuts. MyKuali currently has a wide selection of Asian/Penang Flavor Instant Cooking Pastes. Each MyKuali flavor has its distinct tastes with different ingredients and spices. MyKuali Instant Cooking Paste's range of products are not only delicious but easy to prepare without compromising the colour and texture of dishes. 1. Deep fry 1000g chicken cube until golden brown. Set aside. 2. 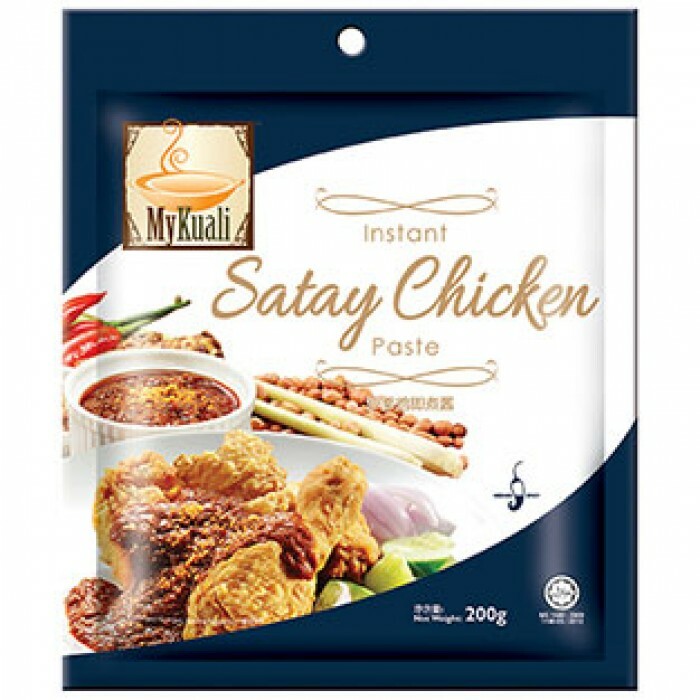 Add in “MyKuali Instant Satay Chicken Paste”, 100ml (1/2 cup) water, and 3 tablespoon coconut or evaporated milk stir well with low heat. 3. Add in cooked chicken cube and grounded peanut, simmer over low heat until the sauce is thicken.